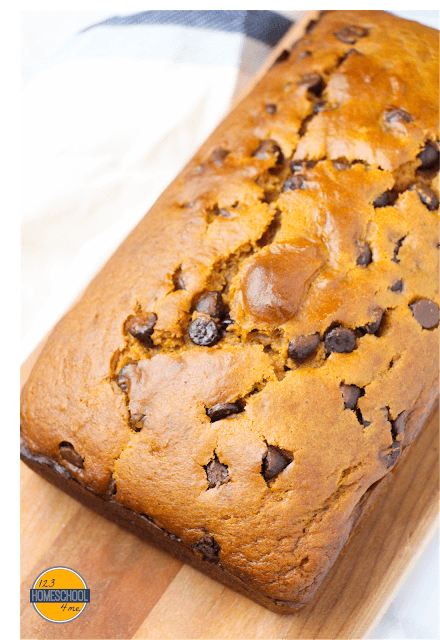 This chocolate chip pumpkin bread takes this classic fall recipe to a whole new level. YOu’ll love the rich flavor chocolate adds to this pumpkin recipe. BEST Pumpkin Pie Recipe Ever! Preheat oven to 350F. Grease and flour a 9×5″ loaf pan. 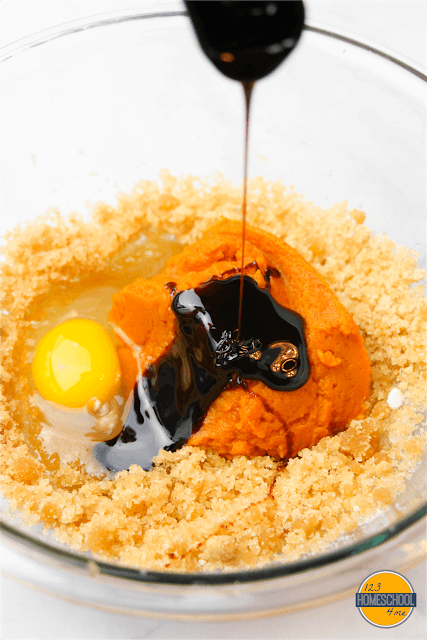 In a large mixing bowl, combine the white sugar, brown sugar and oil with a hand mixer until light and creamy. Add the pumpkin, egg, sour cream and molasses and combine fully. 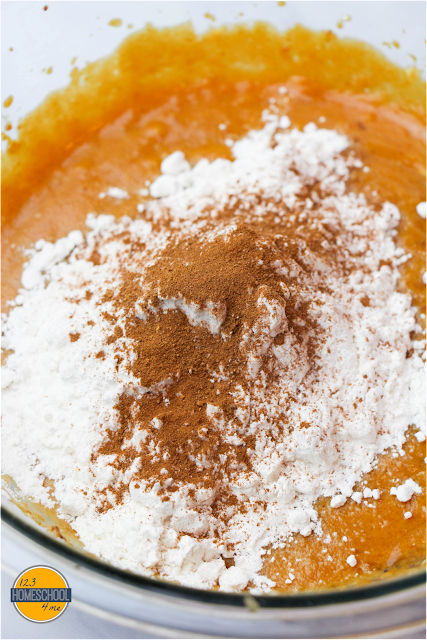 In a separate smaller bowl, combine the pumpkin spice, cinnamon flour, baking powder, baking soda and salt. Add the dry mixture to the pumpkin mixture. Remove half cup of the batter to a small bowl and stir in the cocoa powder. Stir the chocolate chips into the remaining pumpkin batter. 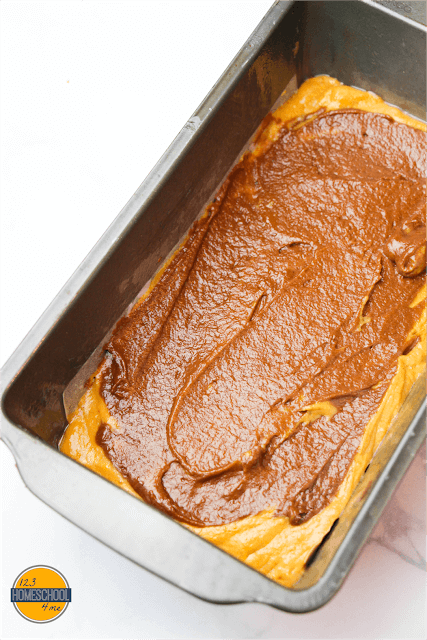 Add half of the pumpkin batter to the loaf pan and smooth down. Top with the cocoa powder-infused batter and smooth down, then top with the remaining pumpkin batter. Bake for 35-45 minutes, until an inserted toothpick comes out clean. Not only does this breakfast bread look amazing, it tastes wonderful too. 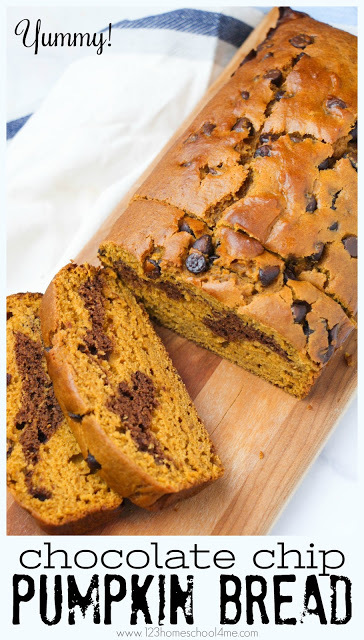 The decadent combination of pumpkin a and chocolate are scrumptious and a favorite with the whole family! YUM! 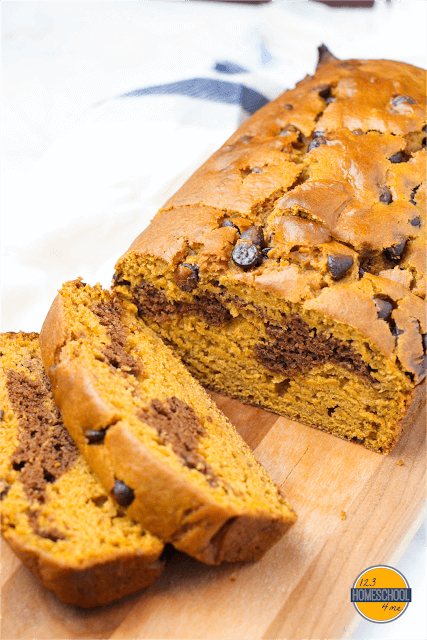 This chocolate chip pumpkin bread takes this classic fall recipe to a whole new level. YOu'll love the rich flavor chocolate adds to this pumpkin recipe. Grease and flour a 9x5" loaf pan. 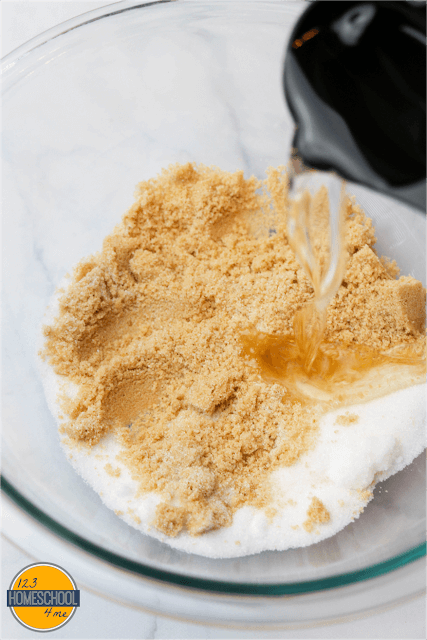 In a large mixing bowl, combine the white sugar, brown sugar and oil with a hand mixer until light and creamy. Add the pumpkin, egg, sour cream and molasses and combine fully. 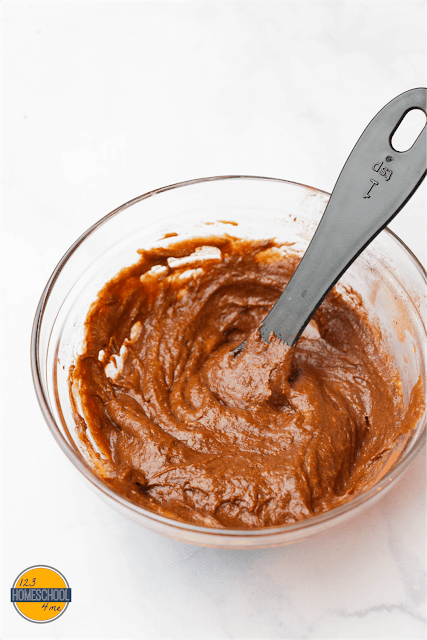 Remove 1/2 cup of the batter to a small bowl and stir in the cocoa powder. Stir the chocolate chips into the remaining pumpkin batter. 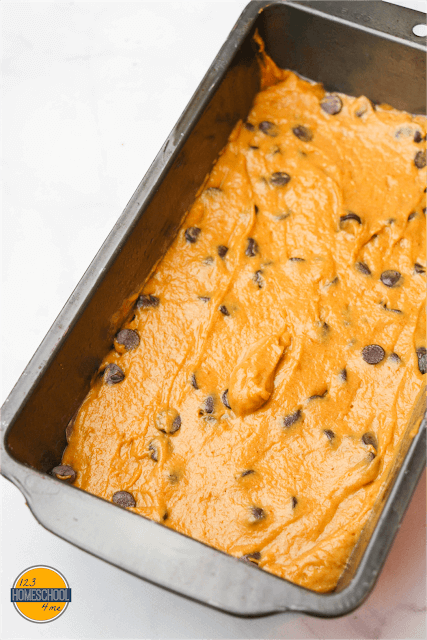 Add half of the pumpkin batter to the loaf pan and smooth down. Top with the cocoa powder-infused batter and smooth down, then top with the remaining pumpkin batter.